Ken Crowder has practiced law for over 20 years, serving as lead counsel in hundreds of federal lawsuits and trying a large number of civil and criminal cases in federal and state courts. 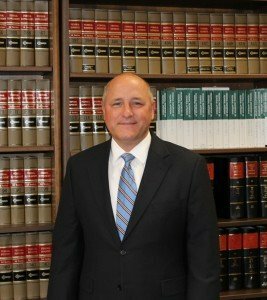 He spent 18 years as an Assistant U.S. Attorney in the Southern District of Georgia, serving as Civil Division Chief and Augusta Branch Office Chief. He was born and raised in Charleston, South Carolina, and obtained his undergraduate degree with honors from Clemson University in 1989. He then graduated from Duke University School of Law in 1992, where he was an Articles Editor on Law & Contemporary Problems, and since then has been practicing complex civil litigation. After school, he first worked from 1992-95 for a 500-lawyer law firm in Richmond, Virginia, handling commercial and business litigation, as well as representing local governments, and in 1995 he became an Assistant United States Attorney in the Southern District of Georgia. Mr. Crowder has litigated and tried all manners of lawsuits, including: medical malpractice (against government medical facilities such as VA and Army hospitals), employment discrimination (by federal employees), personal injuries, bankruptcy cases, IRS matters and False Claims Act litigation. Mr. Crowder has extensive experience in the areas of commercial litigation, enforcement of administrative action, and appeals. He also prosecuted several criminal cases, ranging from bank embezzlement to federal drug conspiracies. Mr. Crowder has tried numerous cases in federal courts. In fact, for several years, he has taught trial advocacy to Justice Department lawyers at the National Advocacy Center. Mr. Crowder has for years worked closely with virtually every federal agency in the United States government, including particular experience with the Department of Veterans Affairs, the United States Army, the Internal Revenue Service, and locally, the Savannah River Site.